Automultiscopic visualization consists of rendering images at multiple viewpoints and merging them into one single image to be displayed on the LCD panel. To minimize image distortion among the views, we set up the virtual camera rig in the off-axis manner. 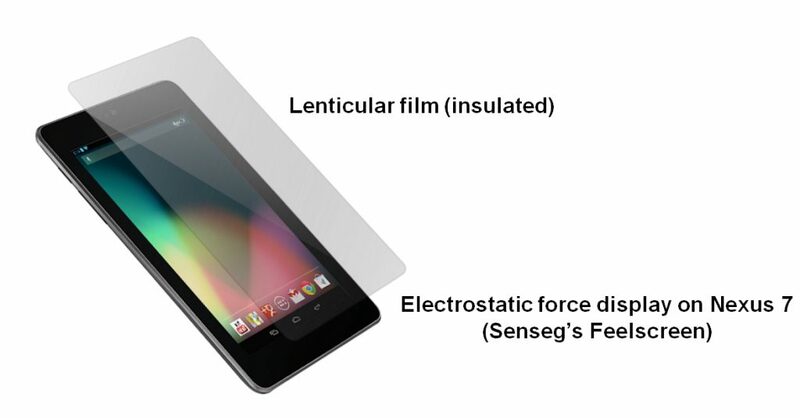 The lenticular lenslet array refracts light rays from underlying LCD pixels to directions based on their spatial locations. By merging the view-dependent images based on the directional distributions of pixels, the final image is generated in consistent with our lenticular setup. To keep the interactive framerate for touch interaction, we implemented this merging process within a single call of a multi-texture shader in the GPU. Our tactile rendering based on visual saliency information reflects the spatial data observed from a pool of users who have interacted with the 3D object. Based on the results that shows the density and spatial distribution of their touch tendency on 3D object, we found that multiple users are interested in high frequency features of both the geometry and color texture, as well as broken parts of the relic. 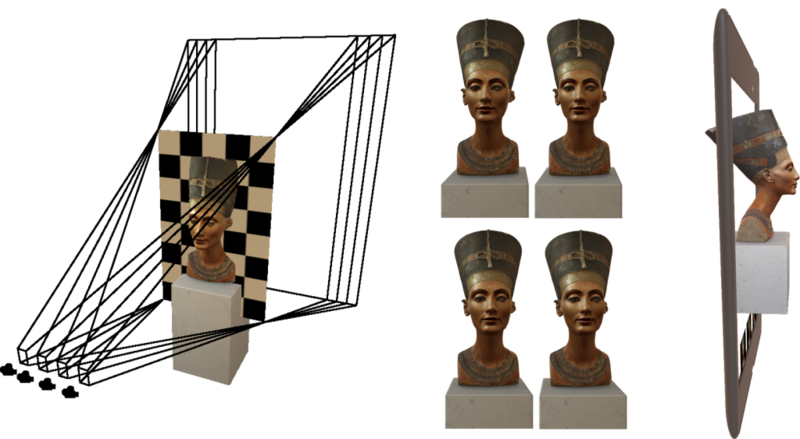 We extracted the curvatures and geometry features from 3D object using Sobel filter and further divided the textures into several salient segments to be mapped with different haptic feedback signals.